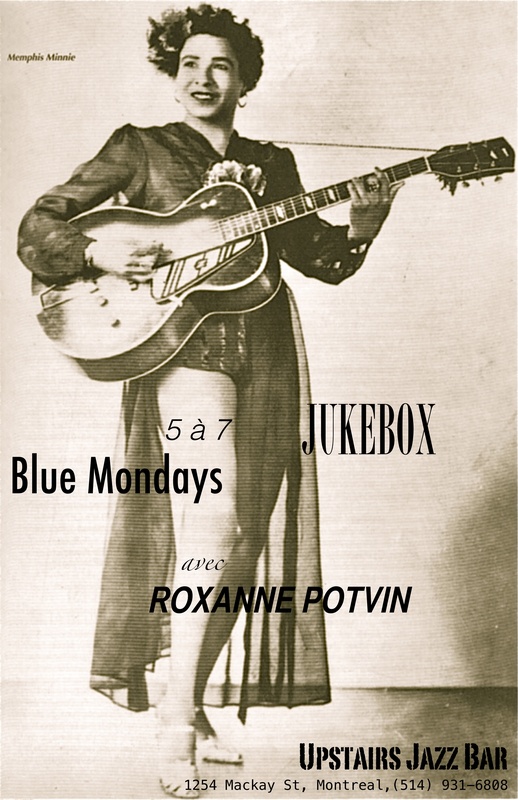 BLUE MONDAYS 5 à 7 JUKEBOX is a weekly event at Upstairs Jazz Club in Montreal starting February 3rd, featuring yours truly with Peter Rioux on piano! Start your work week right as we play some blues, r&b and soul favorites! On vous attends pour un verre après le travail pour bien commencer la semaine :) 5pm sharp! Previous PostPrevious Merry Christmas!! Joyeux Noël!! Next PostNext SPRING SALE! VENTE DU PRINTEMPS!